Online shopping has its place, but follow a few simple steps to becoming an expert at navigating your local bike shop and you’ll be cycling happy this spring— with extra cents in your pocket. Let’s be honest, in the age of online shopping, the bike shop has had to crank up the offering. No longer is it good enough to simply sell some shiny bicycles with a cheery smile; retail presence has to work ever harder. 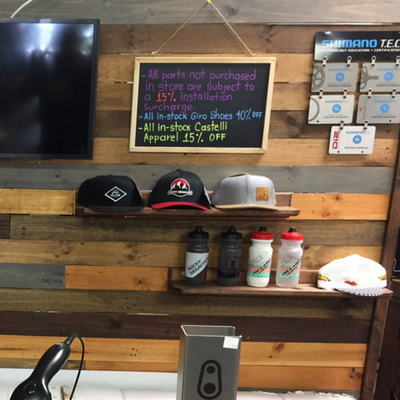 This is good news for the customer — the upshot of this is an ever-growing bike store experience; a unique blend of carefully selected products, brands picked with passion and a personalized service with expert knowledge. 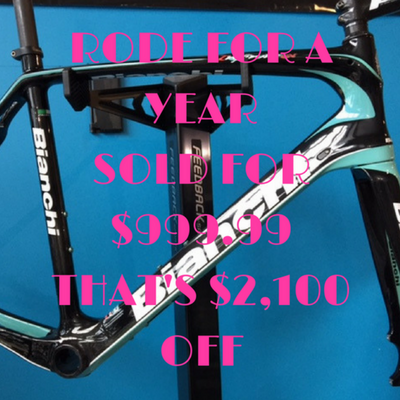 Deals can be picked-up online, but what truly sets bike shops apart is the ability to match these deals, help customers seek out even better ones and what’s more, deliver an extra helping of passion for cycling — bike shop owners dream in disc wheels and have chain oil running through their veins! Nowhere is this truer than in the family-owned bike shops of America. While the larger brands boast huge shop floors and mammoth ranges, a smaller shop that has flourished over time is often an Aladdin’s Cave of all-things-bike, with unique quirks and gems to be discovered in every corner. At Collareta we feel proud to offer our customers the family-owned experience. 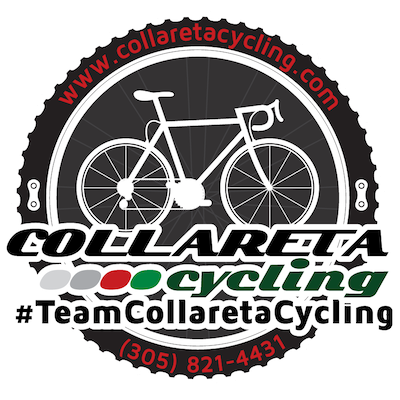 Collareta Cycling was born out of the passion of one man for all things mechanical, which was passed on to his children and grandchildren. 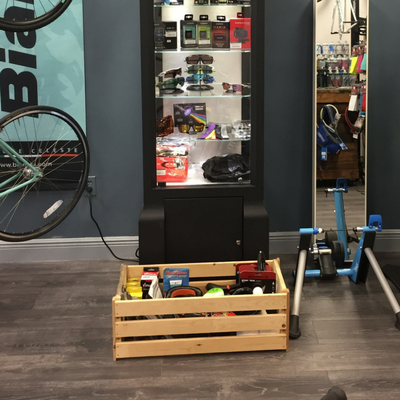 Today, with over 15 years in the cycling business, when you pop-in you are benefiting from that very passion — a vast knowledge of the world of cycling that meets the highest quality parts for bikes (and over 50 brands!). Shopping in-store is great for all the little quirks, the interaction, the top tips and personalized service. But how do you navigate a bike store to your best advantage and seek out the deals? First up, set your sights on the closeout bin. 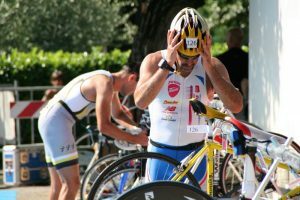 Get your mitts on this at the right time and you’ll find eye-watering good deals on everything from carbon fibre seats to shoes, and bottles to bells. The fun is all in the search, you never know what you are going to find! At Collareta we also have a blackboard listing out all of the juicy deals of the moment, from discounts on servicing to all the bike bargains du jour. You’ll save more money than the next shopper if you keep a look out from bin to board. You might miss a deal if you don’t look carefully. Secondly, here’s our top tip — don’t forget to ask! A great way to get a one-off bargain at a bike shop is to simply to have a chat with the shop owner to see if he or she is selling anything from their personal stash! 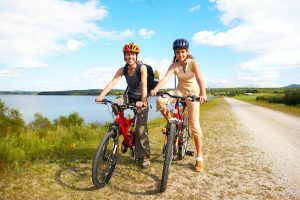 Shop owners usually ride top-of-the-range bikes with highest quality parts for just a few months to test and promote them before moving on. The result is well looked-after, nearly new bikes and parts that need a new home. We love it when you come in to see us, but going online is sometimes what you need. When you do check out the digital deals, don’t dismiss your local bike store’s online shop. At Collareta we strive to match and beat any deal that you can find online —so what you’ll find is very competitively priced! Check out our website and you’ll find everything from great sales on bikes to lights that last, from Muc-off to multi-tools. What’s more, spring is on the way and we’ve got some super sales on short sleeved jerseys, from Bianchi to Castelli. Buying the big ticket items is always better in a shop simply because it’s important to sit on a bike before you buy it! When you’re buying a bicycle what you really want is a truly personalized service. Like many family-owned bicycle shops, at Collareta Cycling you can expect all this and more. When you’re ready to buy, we offer 0% deferred interest financing for up-to a year, so you can buy virtually anything you can (literally) lay your hands on, and pay for it in your own time without racking up a single cent of interest. And it gets better — you can re-use it as many times as you like, if you decide later to upgrade your wheels or group set, you can enjoy another year of interest-free finance. It’s a super-simple process, fill out a simple credit application and you’re away. Don’t Fancy the Credit Option? Don’t Worry. We know that finance options aren’t for everyone, so at Collareta, we have an ‘in-store layaway program’. That’s a posh way of saying that you choose what you want, we put it aside for you for up to three months, and you pay at your own pace. When it’s paid for, you can take it home — simple! It’s our way of helping you out. Can’t wait to take it home? We’ll let you take it right away if you’re a Collareta Club Member (you just need to set up automatic payments). All we ask for is 20% upfront — you’ll have a year to pay for it, and the beauty is there are no credit checks whatsoever. Keep your bike sparkly with our brand new ‘Unlimited Tune Up’ for Collareta Club members. When you look after your gears, brakes, wheels, chain, cassette… (the list goes on), your bike with thank you, and will last a lot longer. But proper maintenance takes time and effort — so we take the headache out of it for you! We know we’re a little bias, but a good bike shop is worth so much more than than the sum of its bike parts. It’s the place that you can come for personalized advice, a good chat and the purchase options that suit your purse. We can’t wait to welcome you at Collareta this spring! *This covers labor and excludes new parts. All our repairs are guaranteed (if parts are purchased in-store) for 30 days. ** Please call-in or visit us for details. PreviousThe Bianchi Road Bike Is A Success Story That Celebrates Style, Strength And Cycling Lore.